a space to share thoughts and ideas and to stimulate discussion around the space where business meets society. And to think collectively and creatively about how to create and preserve value at the meeting/collision point where business meets society. Leaders who understand the importance of bringing social responsibility into their business strategy know it can create direct benefits such as increased profits, customer loyalty, better brand reputation and new opportunities. 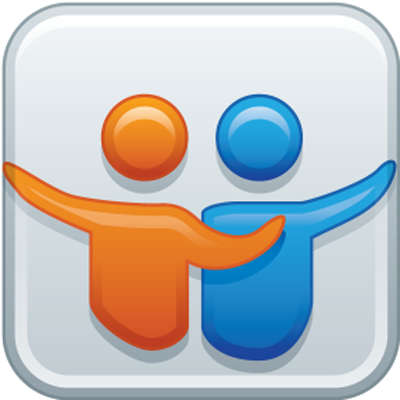 Another advantage that can often be overlooked, however, is the effect that corporate social responsibility (CSR) can have on the attraction and retention of quality employees — something many businesses have great difficulty with. When great employees consider accepting a new job offer, they look for obvious things like competitive salary and benefits, quality leadership, room for growth of responsibility and fulfilling work. But something more and more employees are looking for in their work is the opportunity to give back and make a difference in their local, national and even international communities. Ways to engage and bring more sense of purpose to their work and to their lives. This is especially true for Millennials and the enlightened of the generations that preceded them. Good employees, the kind every company wants to acquire and retain, do their homework. They want to know all about a company they might work for. This includes how the company operates in the world. It is easier than ever to do a quick Google search about a potential employer to see what their CSR reputation is. Business that are not able to figure out the importance of CSR and how to create shareholder and societal returns simultaneously not only risk having increased regulatory pressures and difficulties accessing capital, but also risk their opportunity to both hire and retain quality employees who are seeking long-term company commitment. If you want to become a business that has no issues attracting and retaining the best and the brightest, you need to be a company that makes smart, strategic and value-centred social engagement a top priority. Otherwise, you will lose out on a huge competitive advantage. Our team at CSR Training Institute understands the pressure businesses are under to create positive social change in an authentic way and simultaneously grow the bottom line. We are here to help cut through the confusion to align business, social and environmental performance while keeping value as the top priority. I would love to speak with you about how a strategic approach to CSR can help your business or organization leverage and deliver more value for shareholders and society. You can send me an email at wayne@csrtraininginstitute.com to get started. Business continues to move in a direction where it is increasingly important to not only think about economic growth and shareholders, but also the impact your organization makes on society. Miss that, and you may not like the impact on your economic growth and shareholder value! Organizations of all types are facing increasing expectations that they will not only create value for themselves but that they will also create social value and be effective environmental stewards in the process. This expectation, and the potential negative impacts for not meeting it, permeates businesses and industries worldwide, and is growing stronger. Part of this movement to promote positive change focuses on sustainable development. In September 2015, the United Nations unanimously passed the 17 Sustainable Development Goals, which became the de-facto global development framework and the backbone of the 2030 Agenda being adopted by countries, organizations and industries worldwide. These goals were developed by leaders from all sectors, including business and set out the framework for creating the World We Want. They apply to every country and were supported by every country. Adopted in 2015 they are gaining momentum and are impacting planning and strategies for businesses, governments and organizations worldwide. These SDGs provide a framework that gives organizations the opportunity to become more strategic in creating social value and business value. They work well as a guide for businesses to follow — an overview to ensure there is focus on areas of importance that align with greater global goals. Those businesses and organizations that learn to embrace this new reality and use the SDGs to create alignment between profit, planet and people will find new opportunities emerging and improve the likelihood of long term sustainable competitive advantage. But, it isn’t a slamdunk. This transition can be intimidating, overwhelming and, often confusing. 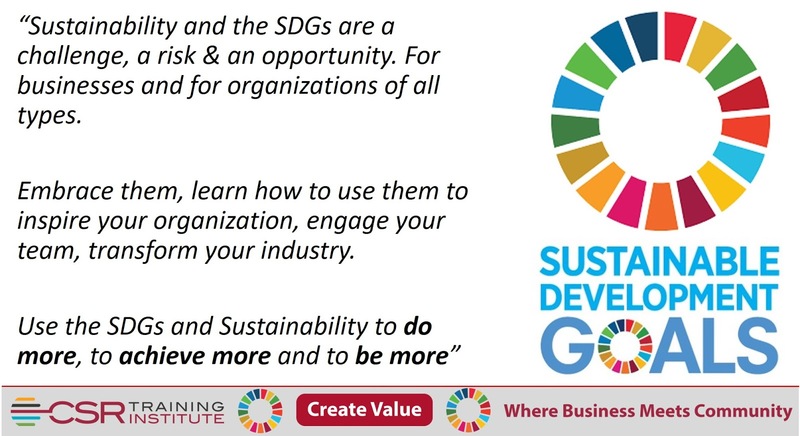 Because of this, we have created a brand new program to help you integrate the SDGs into your business strategy. The program is designed to be practical and pragmatic, and will bring together businesses of different sectors to help explore strategies surrounding these topics. Through interactive lectures, modules, and hands-on case studies, participants will come together to look at how businesses can use the SDGs as a way to help drive more business and social value at the same time. Those who complete the program will leave ready and eager to make change and put what they’ve learned into practise. Register now for our certified masterclass on Integrating SDGs Into Business Strategy and Sustainability Reporting and Communication, taking place in Accra, Ghana from March 19-23, 2018. 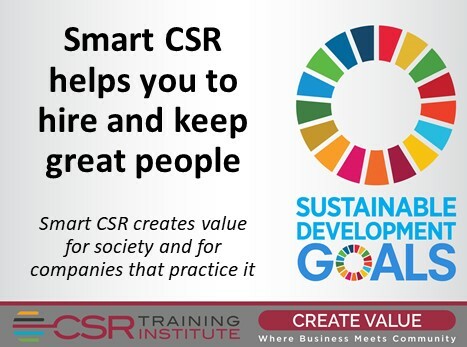 And if you would like to speak to me about how a value-centric strategic approach to CSR can help your government or business leverage social capital to deliver more value, send me an email at wayne@csrtraininginstitute.com. The push for companies to include corporate social responsibility in their business strategy does not come only from consumers — it comes from investors as well. This became even more apparent last week as The New York Times reported that Laurence D. Fink, CEO of multinational investment management corporation BlackRock, sent letters to some of the world’s largest public companies demanding they contribute to society or lose investment support. The business aspect of a company’s corporate social responsibility is something that my team at CSR Training Institute and I have been explaining to our clients for a number of years. But when the CEO of the largest money-management firm in the world informs companies that they need to do more, we are hopeful it will have a large impact and, ultimately, a trickle-down effect on small-to-medium sized companies as well. After reading commentary that suggests BlackRock has caught the ‘do-gooderism’ bug, it is important to note that this move from Fink is all about smart business strategy. The reality is businesses are under increasing expectation from markets, consumers, investors, employees, regulators, and governments. There is an expectation that businesses engage with and contribute to society and be an effective environmental steward at the same time as they are making profit and creating shareholder value. It is also clear that Fink is not interested in seeing ‘social wash’ or all talk and no action from these companies. It will take considerable time, planning and economic investment to ensure these actions are not written off as marketing gimmicks, which are often ridiculed by consumers and do more harm than good. We recognize that it can seem overwhelming. Increasing demands for improved business performance and now you have to create social good too. We help you cut through the confusion to align business, social and environmental performance. If you would like to speak to me about how a value-centric strategic approach to CSR can help your business or organization leverage social capital to deliver more value, send me an email at wayne@csrtraininginstitute.com. 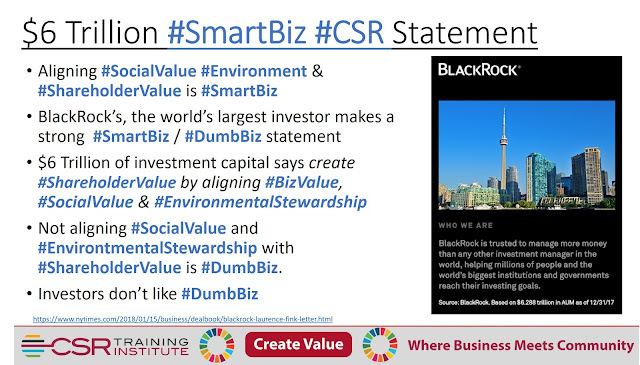 The intersection between business, society and environment is where smart CSR works to create value for all stakeholders. It’s all about aligning business, social and environmental interests. At first blush it may seem like there would be little place for commonality. Over time we’ve come to accept that competing interests have ruled out cooperation. But what we’ve actually seen is that value - however it’s defined - is important to everyone. Our world is not as silo’d as you might think. We all work (business), live in communities (society) and expect our environment to be preserved. So there is actually a lot more commonality than one would expect to find. It’s important that businesses evolve, and can be rewarding too. Stakeholders or all types, shareholders, governments and others are pushing, pulling and shoving business to engage on social issues and environmental stewardship. Businesses that get this right can create competitive advantage and prosper. The role of government is also evolving as it bridges the gaps between business and society. Our approach to CSR is strategic and value-centric. It is all about creating value and driving efficiency in that process by identifying areas where the outcomes work for all stakeholders and result in positive net outcomes for everyone. Strategic, value-centric CSR is far from the charity and philanthropy that many have in mind when they hear the word. It is all about strengthening business value and, simultaneously, creating positive social and community impacts and efficient environmental stewardship. Really, it’s no different if you’re trying to drive efficiency in your operations, in your financing structure, in your engineering, in your human resources - it’s all about efficiency. Successful businesses are efficient in creating value. This principle should carry into your CSR and social engagement focus as well. Efficiencies drive value. But there is a misconception that all efficiencies are driven by cuts, when it may actually be strategic investments that lead to further growth and sustainable prosperity. Our job is to shift the mindset so the relationship between business and society is not seen as one of competing interests. We find creative ways to deliver value for both in a way that also preserves the environment. It isn’t about taking from business and giving to society, it’s finding a way to make more for both. Efficiency, value and sustainability is the path forward and we’re well positioned to deliver the programs to deliver on all three. If you’d like to speak to Wayne Dunn about how a value-centric strategic approach to CSR can help your government or business leverage social capital to deliver more value you can send him an email at wayne@csrtraininginstitute.com.